Our specialty is catering your private event. Whether it’s a wedding, rehearsal dinner, graduation party, birthday or corporate function, Catch-a-Fire will light up your party! Our wood-burning Italian ovens are our premier pieces of cooking equipment. 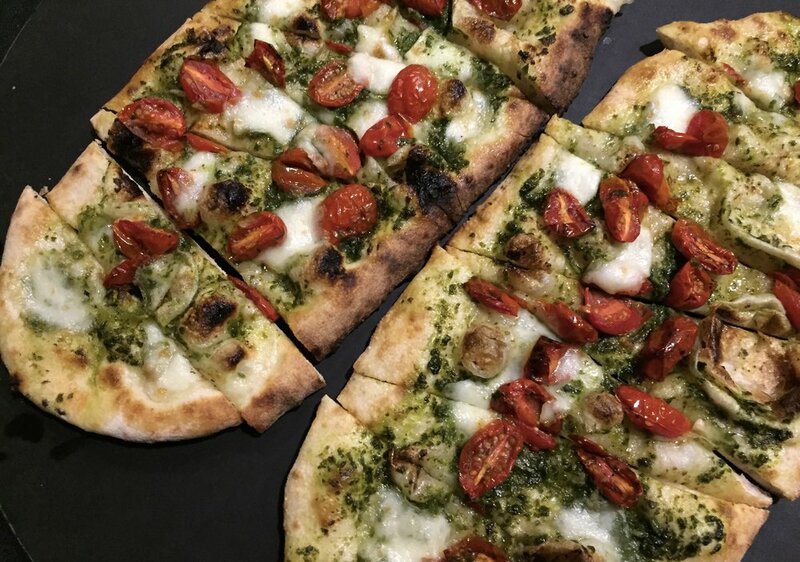 Although we specialize in wood-fired pizza, we offer a wide variety of wood-fired cuisine including appetizers, salads, entrees and desserts. Our professional staff will help customize a menu to create a unique dining experience for you and your guests. Schedule us to cater your next event in one of the unique private event spaces located inside the MadTree Brewing Taproom (3301 Madison Road). For all catering inquiries call 513.267.5710 or send us an email. Just steps away from the taproom, the Oakley Room provides you and your guests the experience of a craft brewery in a private setting. This space boasts versatility -- perfect for hosting an intimate rehearsal dinner for 35 guests or a corporate cocktail reception for 140. Take a virtual tour. Modern and industrial in nature, the Barrel Room is an operating warehouse and storage facility. This room houses just under 7,000 square feet of available space, with large cement columns and an oak barrel focal wall. Take a virtual tour.